Brighton & Hove Albion midfielder Dale Stephens says the team's warm weather training camp this week will be like a mini pre-season. 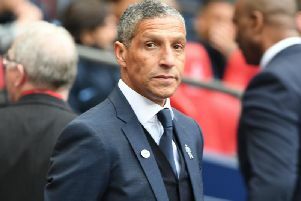 The Seagulls do not play again until they travel to Leicester in the Premier League next Tuesday and manager Chris Hughton has used the break to take the team away. Albion are winless in six Premier League matches in 2019 but have reached the quarter-finals of the FA Cup. Stephens admits the training camp will be hard work for the squad and said: "It's a good chance for everyone to get away and be together for the break we've got now between games. I'm sure it will be a mini pre-season out there. "We've always done it and we've had nothing but success over the period we've done it. It's a good chance to get away. "We've got a long break and we'll do some hard work out there. "Although it's hard work, you're not really focusing on a game come Saturday. It gives the opportunity to get some good work in for the week. "We're in the training ground quite a lot and it's nice to have a different feel of environment and it's a good opportunity to do it with the short break we've got."